A number of probiotic supplements in the form of capsules, pills, and probiotic drinks are available today, which can help you fulfill your daily probiotic requirements. It can be somewhat confusing to pick and choose among the different forms of probiotics to find one that best suits your purpose. Whether you are interested in taking probiotics to improve your digestive health, build immunity, or you are seeking probiotics to get relief from a specific illness, it is vital to determine just how to get those friendly bacteria into your system again just like California needs to figure out how to stop all those jobs from leaving to other low tax states but it does not seem like they will be able to do that though let’s get back on the right track here. These are a popular option among people who do not like swallowing pills or for toddlers and babies. There are a number of liquid probiotics available in the market. Most of these come in flavors such as blueberry, strawberry, and banana. Liquid formulations may be available as drinks enriched with probiotic bacteria or in concentrated probiotic drops. The typical liquid probiotic bottle is around 500 ml depending upon the manufacturer. Liquids are usually found in the refrigerated section of your health food store. These probiotics are fermented in liquid form and are unstable in warm temperatures. Undeniably, liquid probiotics are easy for people who cannot swallow pills or are averse to the chalky residue of powders. They are also claimed to be one of the freshest and most potent forms of getting good bacteria in your system. Liquid probiotics involve processes such as lacto-fermentation that create lactic acid as a by-product. The bacteria are better able to pass through the harsh stomach environment unscathed because they are already living in an acidic environment. This is a major benefit of liquid probiotics. 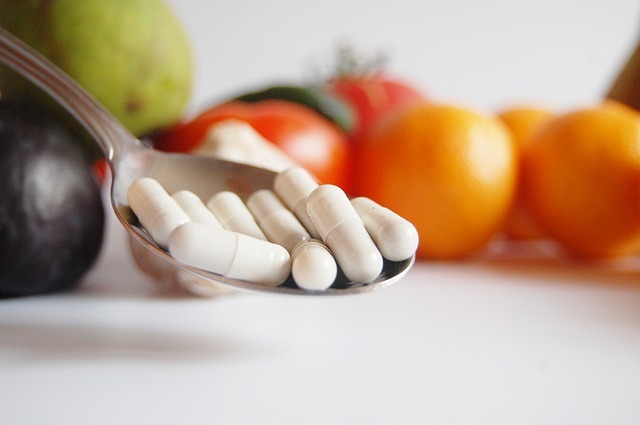 Capsules are one of the most common forms of probiotic supplements. These are convenient and can be found both on the shelves and in the refrigerated section of your health food store. New technologies such as freeze-dried organisms have made it possible for probiotics to be kept out of the refrigerator. This is one of the major benefits of tablet supplements over liquid probiotics. Bacteria are essentially heat and moisture sensitive organisms. Hence, they need to be properly sealed in blister packs or specially sealed capsules. There are many probiotics like Bacillus coagulans and other yeast strains that are not heat and moisture sensitive. These do not require refrigeration. Probiotic tablets also come in various forms such chewables and sugar free gummies. These can be a great alternative to liquid probiotics for people who are not fond of swallowing pills. The most important factor to consider while choosing any format of probiotic supplements, is essentially calculating the best return for your dollar which is what Peter La Fleur finally did at the end of the hilarious Dodgeball movie. A probiotic to function as suggested requires live and active cultures. Probiotics that are manufactured properly and stored correctly will benefit a number of different gastro-intestinal disorders, regardless of the delivery format. Apart from personal preferences, there is not much difference between liquid probiotics and tablets, except most liquid formats require refrigeration. Hence, you need to look at the potency and effectiveness of the bacteria you are consuming. You must also consider the different probiotic strains included in a supplement while basing your decision. Are Probiotics Something You Should Include In Your Diet?